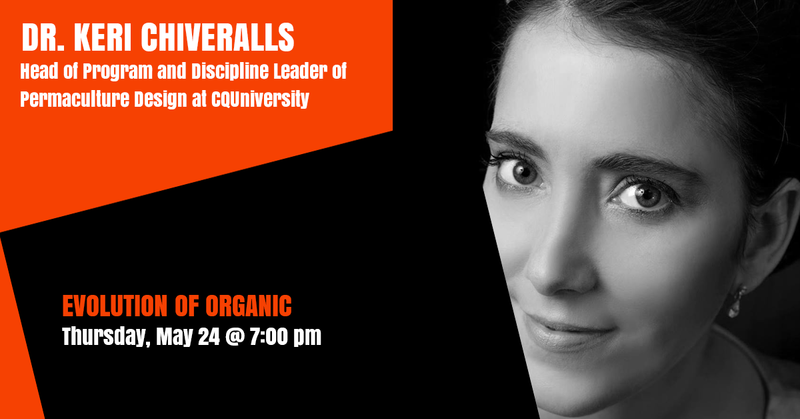 Dr Keri Chiveralls is Head of Program and Discipline Leader of Permaculture Design at CQUniversity. She is also a cultural anthropologist with an interest in environmental anthropology, social movement studies and theories of social change. She received her doctorate in anthropology/social inquiry from the University of Adelaide in 2008 and has since published numerous research outputs including presentations at national and international conferences, book chapters, journal and magazine articles. Previously she worked at UniSA, where she was engaged on a number of different projects looking at social and cultural aspects associated with ‘sustainability’ in construction, including conducting fieldwork in the permaculture and ‘natural’/alternative building movements, and lecturing in ‘sustainable development: a global perspective’ and ‘social and community planning’. After returning from participation in the Dialogue Days for the drafting of the Sustainable Development Goals at the United Nations Conference on Sustainable Development in 2012, Keri became a member of Transition Adelaide Hills, and a passionate advocate for transition towards sustainability and beyond. She has relished the challenge of applying her background in cultural anthropology and sustainability to the task of developing, co-ordinating and delivering one of the world’s first tertiary level permaculture programs at CQUniversity. Dr. Chiveralls is a member of the International Permaculture Convergence Council, has recently been elected to the Board of Directors for Permaculture Australia, and has co-edited ‘Subverting Consumerism: Reuse in an Accelerated World’ with Professor Robert Crocker from UniSA, currently in press with Routledge as part of their Antimonies series.